This Android NFC Tutorial describes how to build an Android NFC app to read NFC Tgas. The NFC technology stands for Near Field Communication and you can find the specification at NFC Forum. In this Android NFC tutorial, we analyze some fundamental aspects of NFC in Android, and we will describe how to implement an Android NFC app to read tags. If you want to experiment with NFC, there are several websites where you can buy NFC with a few euro. NFC can be used in a different situation: we can use it to turn on our Wifi when we are at home or launch task actions and so on. We will focus our attention on NDEF data that is a special type of NFC tag. There are some basic steps we have to follow before using the NFC. At line 6 we register our app so that it can be notified with ACTION_NDEF_DISCOVERED. We can use different types of filter, in this example (at line 8) we used the mime type. In other words when an NFC tag (NDEF format) is discovered and it has a mime type text/plain then our app will be started. We can filter using several mime types not only text/pain. We can, moreover, use other type of filters like android:scheme to filter using the protocol or using a string pattern. Filtering with intents works if our app is not in a foreground. If our app is running in the foreground, it won’t be notified, if move our smartphone near an NFC tag. In this case, we have to use a different technique called NFC Foreground dispatch. We should, also, remember to disable foreground dispatch as soon as the app gets in the background and the best place to do it is in onPause method. where nfcAdpt is the NFC Adapter. Each type has it is own payload. Generally speaking, a NFC NDEF data is composed by a Message. A message can contain one or more records. Each record is made by an header and a payload (the real information). Now it is time to describe how to read NFC tag in Android before developing an Android NFC App. Android SDK provides a set of API that can be used to read the NFC payload in Android. Reading the NFC specification, there are several types of nfc tag format, depending on the type of the tag. Comparing the tnf (Type Name Format) with all possible combination, we can know the record type. In the code above record is an instance of NdefRecord. The most important byte (7th) is the Message Begin byte, this byte is 1 if the it is the starting message otherwise is zero. The 6th byte is the Message End, this byte is 1 if the this record is the end record otherwise is 0. SR is the Short Record and it is 1 if it is a short record. This information is important if we want to handle the NDEF tag data correctly. We know that Android SDK provides the method getPayload() that returns an array of bytes that represent the tag content. We have to read and parse this array to extract information. Let’s start from the simplest record structure: text record. This is another simple NDEF content. This type of content is built for an organization that wants to create a custom namespace. This type of content can be useful when we want to create a special namespace to run an app for example. All the NFC payload is the content. This is the most complex NDEF tag because it can be made by several inner contents made by several types. In this case is very important to read the message header to know if the record is a Message Begin or Message end or if the record is a Short Record. …and of course, we repeat all these things until the payload length is greater than 0. That’s all. Let us suppose we have a NDEF Tag that has a link that points to this website and a text part like surviving. Now, you know how to read Android NFC app, extract the content from the payload and handle the NFC tags in Android. Once you know how to handle NFC tag you can develop an Android NFC app to execute common tasks as soon as the Android app detects a tag. According to the NFC tag content, you can enable or disable the WiFi for example or open a link and so on. 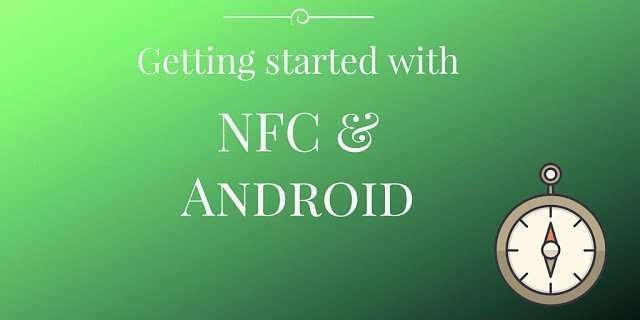 Yo have endless possibilities to explore and implement using the Android NFC app. Hola Enrique Perez, podrias compartir tu github ? I need, after reading a NFC tag in the main activity, to start another one that need too to read tags to do others actions. Starting from your source on github, I have just created the second activity (cloning main) and the second activity is started from the Settings menu. Only the text color differentiates the 2 layouts. I have added the second activity in the manifest file (again, just cloning the lines from the main activity). Any help would be really welcome ! Muchas gracias si usted puede ayudar mi !!! Being unable to get my second activity running, my ne idea was, reading the first tag, to change the layout but staying in my first activity (with some internal flags letting me know in which step I am when the second nfs read will arrive). But when i read my second tag, my program “restarts”, really in another process, execute onCreate and … switch back to the first layout, my internal flag being reinitialized …. Did you register your new activity to receive foreground notifications? Hi, can you share the complete project?